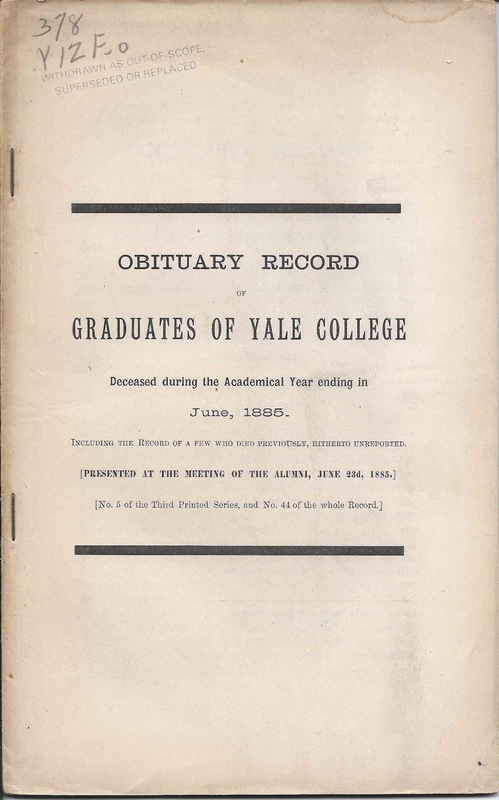 The first obituary included in the June 1885 edition of the Obituary Record of Graduates of Yale College was that of Congregational minister Leonard Withington of the Class of 1814, Academical Department. 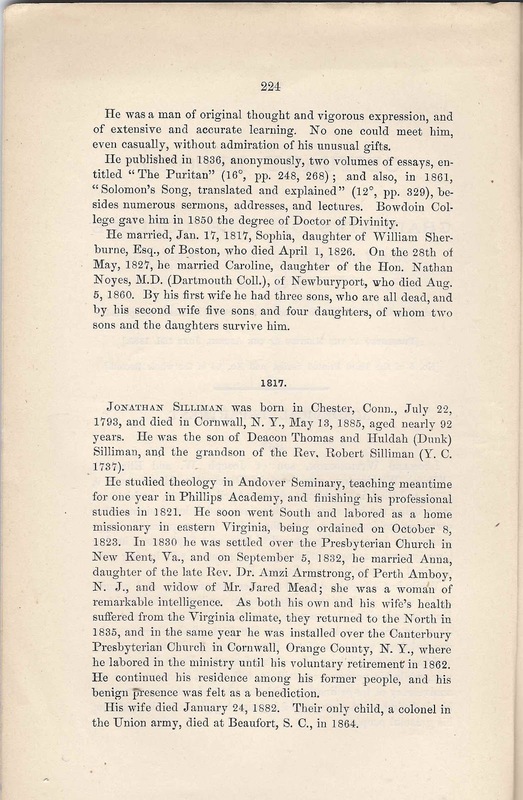 He spent many years as a minister at Newbury, Massachusetts. 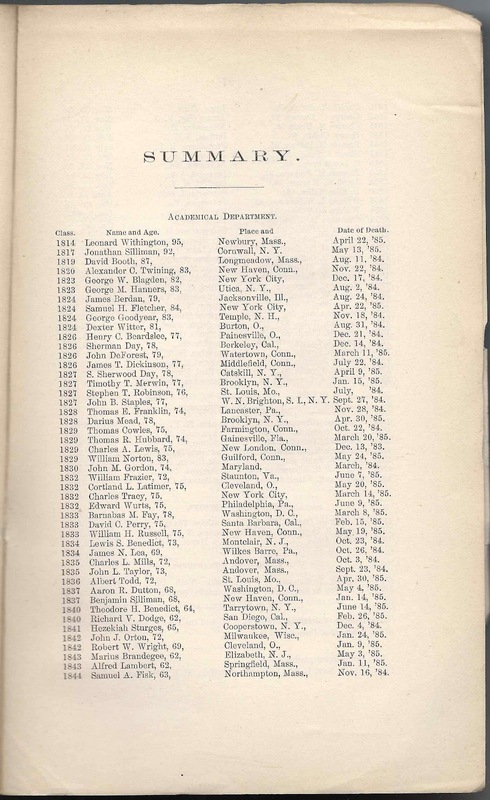 Including the record of a few who died previously, hereto unreported. 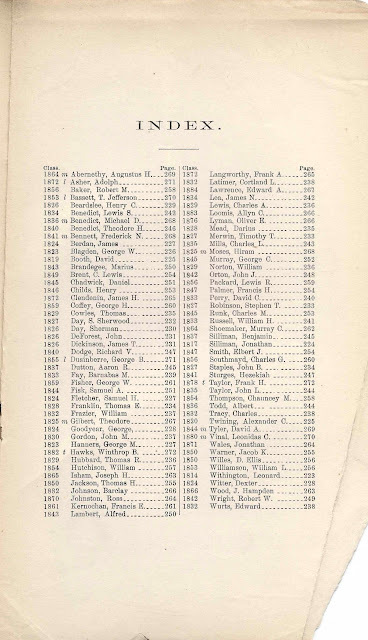 Leonard Withington, son of Joseph W. and Elizabeth (White) Withington, was born in Dorchester, Mass., Aug. 9, 1789, and died in Newbury, Mass., April 22, 1885, in his 96th year, being the last survivor of his class, and older than any other surviving graduate, as well as the oldest Congregational clergyman in the country. 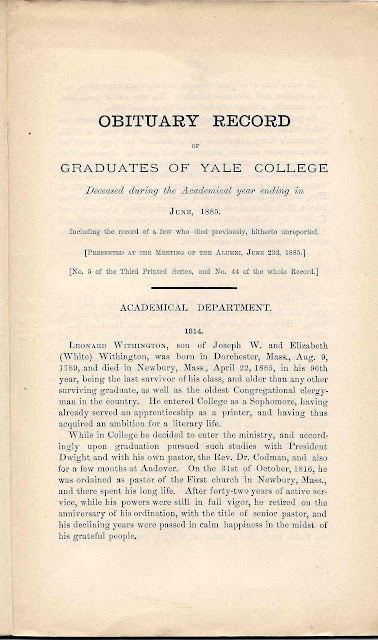 He entered College as a Sophomore, having already served an apprenticeship as a printer, and having thus acquired an ambition for a literary life. While in College he decided to enter the ministry, and accordingly upon graduation pursued such studies with President Dwight and with his own pastor, the Rev. Dr. Codman, and also for a few months at Andover. 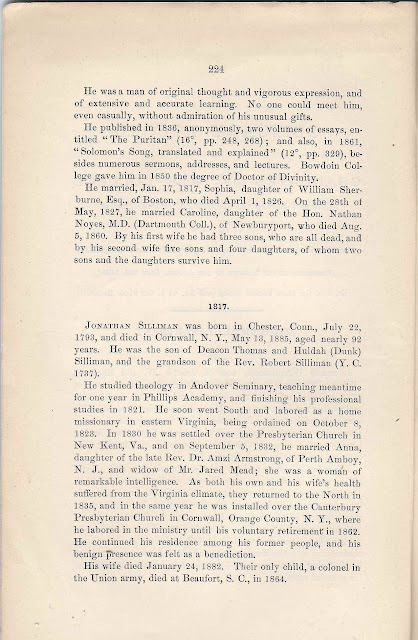 On the 31st of October 1816, he was ordained as pastor of the First church in Newbury, Mass., and there spent his long life. After forty-two years of active service, while his powers were still in full vigor, he retired on the anniversary of his ordination, with the title of senior pastor, and his declining years were passed in calm happiness in the midst of his grateful people. He was a man of original thought and vigorous expression, and of extensive and accurate learning. No one could meet him, even casually, without admiration of his unusual gifts. 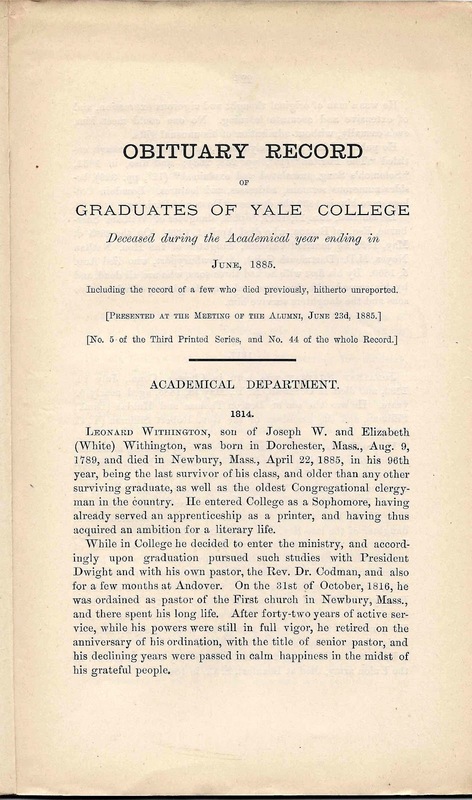 He published in 1836, anonymously, two volumes of essays, entitled "The Puritan" (16⚬, pp. 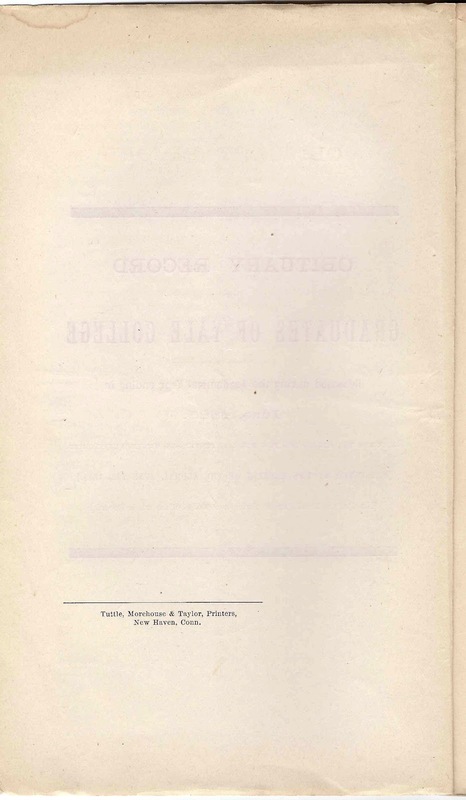 248, 268); and also, in 1861, "Solomon's Song, translated and explained" (12⚬, pp. 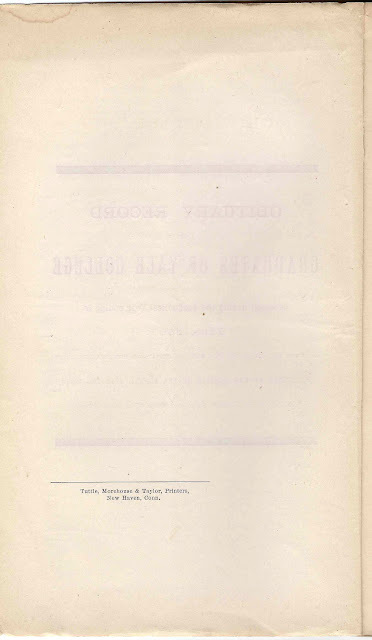 329), besides numerous sermons, addresses, and lectures. 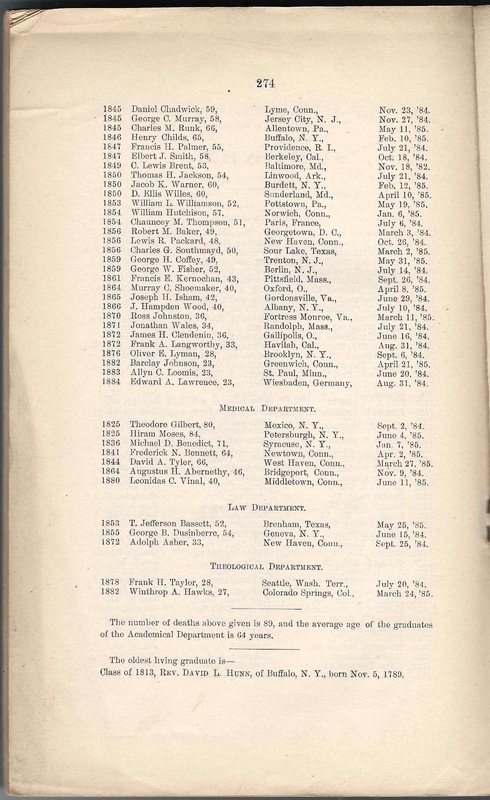 Bowdoin College gave him in 1850 the degree of Doctor of Divinity. He married, Jan. 17, 1817, Sophia, daughter of William Sherburne, Esq., of Boston, who died April 1, 1826. On the 28th of May, 1827, he married Caroline, daughter of the Hon. Nathan Noyes, M.D. 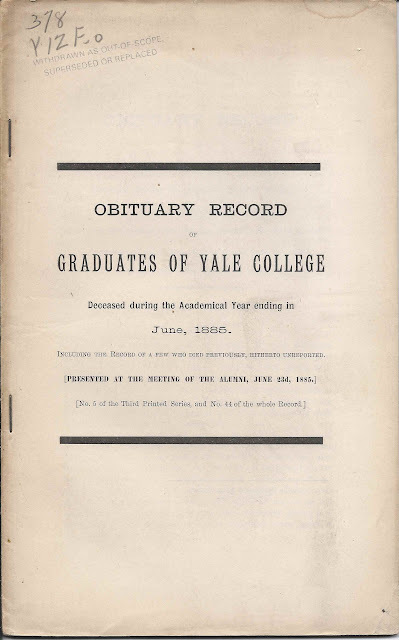 (Dartmouth Coll. ), of Newburyport, who died Aug. 5, 1860. By his first wife he had three sons, who are all dead, and by his second wife five sons and four daughters, of whom two sons and the daughters survive him. 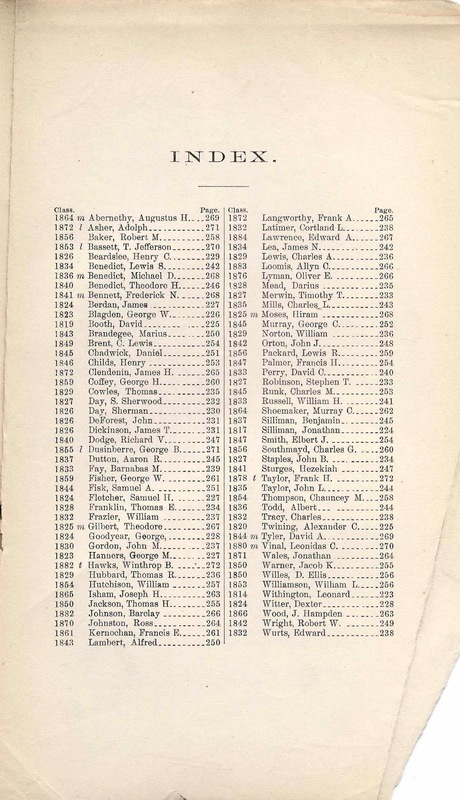 Leonard Withington was born 9 August 1789 at Dorchester, Massachusetts, the son of Joseph Weeks Withington and Elizabeth (White) Withington. 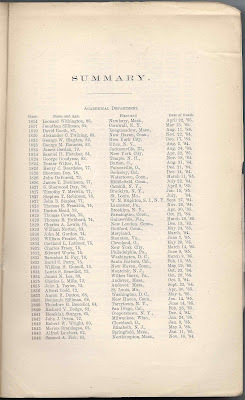 George Aspinwall Withington, born 30 January 1826 at Newbury, Massachusetts; and died there on 18 May 1826. His mother Sophia died in April 1826, perhaps as a result of George's birth.